GIZMODO had a great article on Digital Copyright a few days ago titled “Everything Wrong with Digital Copyright (And How to Fix It).” It provides an excellent summary of many of the biggest problems with copyright today. Unfortunately, it didn’t mention the obnoxious length of the current copyright term (which is well over 100 years when you include the life of the author/artist/creator). Despite that shortfall, if you’re one of the majority who think that copyright is just fine the way it is (& that all file sharers are thieves), then I strongly recommend you read this article. Recently, the head of the US Copyright Office, Ms. Maria Pallante, gave a speech & spoke to Congress about the need for improving US copyright law. She even proposed reducing the current copyright term from 75 yrs (plus life of creator) to 50 yrs + life of creator. I’m sorry… that’s still about an order of magnitude too long. Five years, renewable only once for maybe 5 more years, would be more than appropriate. But no worries… the content industry (MPAA, RIAA, book publishers, etc.) isn’t going to allow ANY changes which could reduce their monopolistic hold on our culture. They have Congress in their pocket and have been responsible for all of the copyright extensions over the past several decades. They’ve pretty much stolen the public domain from… guess who? Yeah… from us, the public! Nothing entered the public domain again this year, and won’t until 2018 or 2019 (assuming there’s no more ‘content industry’ copyright extensions). Speaking of copyright reform, the MPAA Talking Points on Copyright Reform have just been leaked. As usual, the MPAA does an excellent job of disinformation by completely rewriting copyright history (along with the real purpose of copyright) as pointed out by Mike Masnick at Techdirt. It’s an EXCELLENT read. Apparently the public is simply too stupid to understand copyright law and is easily led astray by groups like Public Knowledge. Taken together, you see both the fear and outright contempt that the copyright lobby has for the public. To them, the public are interfering with “the industry’s rights” and are apparently stupid, gross and easily led astray and into mob behavior. It’s high time we, the “public”, got off our arse and put the content industry in their place (which, ideally, is NO WHERE NEAR any copyright policy discussions). But that’s not likely to happen, so stand by for even more ridiculous copyright law additions/modifications that further lock up our culture and make criminals of millions of more Americans. Yup… copyright is seriously broken… and you know what’s really sad? It’s probably just going to get worse. This week these five ISPs join the Recording Industry Assoc of America (RIAA) and the Motion Picture Assoc of America (MPAA) in bringing the Copyright Alert System (CAS) online. CAS is an agreement between Big Content and large Internet Service Providers to monitor peer to peer networks for copyright infringement and target subscribers who are alleged to infringevia everything from from educational alerts to throttling Internet speeds and even lawsuits. Note the word “alleged” — that’s right. There is NO DUE PROCESS and the “alleged” infringer is presumed guilty until proven innocent. Of course, they “claim” that the intent of CAS is to “educate” alleged copyright infringers. IMHO, it’s Big Content (including RIAA & MPAA) that need the education. All you’ll find on the CAS website (Center for Copyright Information, or CCI) is the copyright maximalist point of view. To them, 100 yrs of copyright isn’t enough. As I’ve blogged before, copyright is BROKEN! Big Content has almost completely locked down the Public Domain for another decade or more due to copyright extensions. Since our beloved Mickey Mouse is coming to the end of it’s latest copyright extension in a few years, you can bet your shiny nickel that Disney will be pushing for yet another “Mickey Mouse Copyright Extension Act – Version 2” that will push copyright to well over a hundred years! And to think copyright was originally granted for only 14 years with only one 14 yr extension allowed (and only if requested by the copyright holder, which seldom happened). But back to the CCI’s goal of educating “alleged” copyright infringers… even if you do not download files via a BitTorrent client, you still need to “get educated” about how to protect yourself. Is your network locked down (especially your wireless network)? Do you have children (or their visiting friends) that might be downloading files with peer-to-peer software? Then watch out, because the CCI claims that subscribers are responsible for making sure their internet account is not used for copyright infringement. (Make that “alleged” copyright infringement). That means if you have an unprotected wireless network and your neighbor is using it to download copyright protected files, then YOU are the responsible party. So how do you protect yourself? CAN YOU SAY “V P N“? That stands for Virtual Private Network. If the CCI wants to educate us, then let us all learn about VPNs. VPNs are also great for use on Open WiFi Networks (like Starbucks or McDonalds) to protect anything you might be doing on the Internet, i.e., online banking. Of course, due to the Copyright Alert System, we’ll probably be seeing fewer & fewer Open WiFi spots. NOTE: Just to be clear — a VPN only protects the person actually USING the VPN. It won’t protect you from an alleged “Six Strikes” warning if a neighbor is downloading from your unprotected (or cracked) wireless, or if your children (or their friends) are downloading alleged infringing files via your home network. The only way to protect your entire network is to use a VPN Gateway or VPN Router, which puts your entire LAN behind the VPN. Last November the Republican Study Committee (RSC) got it absolutely right & hit a home run with their “RSC Policy Brief: Three Myths about Copyright Law and Where to Start to Fix it.” Unfortunately, it wasn’t even on their website for 24 hrs before Big Content jumped on the Republicans and had it removed. Not only that, they got the main author of the report fired. If you haven’t read this report, I urge you to. You’ll find plenty of similarities as in the book “The Case for Copyright Reform” that I blogged about last April. Time to look for a new ISP! Oh…. that’s right… I don’t have any other choices where I live due to the Comcast monopoly & lack of competition. Damn! 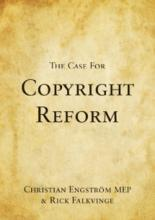 “The Case for Copyright Reform” — Free Book! — Read it!!! Christian Engstrom and Rick Falkvinge have just released The Case for Copyright Reform, a 107-page eBook (PDF, ePub, mobi) outlining a vision for reconciling copyright protection with the reality of widespread digital sharing. I’ve read over a dozen copyright-related books over the past 10+ years, some more than 500 pages in length, but never have I read a more compelling case for the need to reform copyright law as is presented in this relatively short book. It starts out with the fact that today’s copyright legislation is completely out of balance and out of tune with the current times. It has turned an entire generation of young people into criminals in the eyes of the law, in a futile attempt at stopping technological development. And yet… file sharing continues to grow exponentially. The “bottom line” of the book: It is impossible to enforce the ban against non-commercial file sharing without infringing on fundamental human rights. The book provides an ample dose of copyright monopoly history and how it came about, primarily instituted as a censorship mechanism back in the 1500’s. Isn’t ironic that now, several hundred years during which the “censorship” portion was somewhat eliminated, the content industry is having such great success in passing laws in the US (and throughout the world) requiring “censorship” of the Internet? In 1641, when England’s Parliament abolished the court for copyright cases & made violations of copyright a sentence-less crime (no punishment), creativity in Britain soared. This only lasted a couple years before the Stationers (printing guild monopoly) reestablished harsh punishments. In 1695 the Stationer’s monopoly expired and there was once again NO copyright. Creativity AGAIN soared. Unfortunately, the London Company of Stationers once again were able to get their monopoly reinstated. It is noteworthy that authors did not ask for the copyright monopoly — only the printers & distributors did. Please note: the purpose of the US-established copyright monopoly was NOT for any profession to make money — neither writer nor printer nor distributor. The only justification for the monopoly is if it maximizes the culture and knowledge available to society. The monopoly holders, while certainly being beneficiaries of the monopoly, are NOT legitimate stakeholders and should have NO say in its wording! Uh… gee… uh… then why is the content industry allowed to take charge in writing bills and treaties in the US Government??? 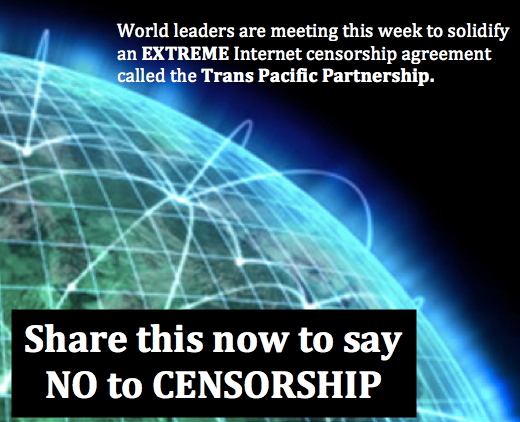 (i.e., SOPA, PIPA, ACTA, TPP, to name just a few). Not to mention their success in getting the US Government’s own Immigration & Customs Enforcement (ICE) to act as the content industry’s copyright enforcers on the Internet. In the late 1800s, the publishers’ ever-strengthening copyright monopoly had removed creators’ chances of making any revenue from their works. Due to the copyright monopoly, all the money went to publishers and distributors, leaving creators starving. Wow. That’s not much different than the situation now. Do you get it? 200+ years later and nothing has changed! What is happening today with the “Copyright Industry vs. the People” is practically identical to what happened when the printing press was introduced and the Catholic Church declared war on self-educated people. The printing press was a disruptive technology that threatened the control over information that the Catholic Church had enjoyed so far. When the old power structures saw the risk of their power slipping away or being eroded, they fought back in every way they could. And although technology won in the end, the former information monopolists managed to create quite a lot of collateral damage to society before they had to accept the inevitable defeat. The Internet is a disruptive technology that threatens the control over information that the entertainment industry has enjoyed so far. When the old power structures see the risk of their power slipping away or being eroded, they fight back in every way they can. And although technology will win in the end, the former information monopolists are creating quite a lot of collateral damage to society right now. Our job is to put an end to this damage as quickly as possible, so that society can take full advantage of the new opportunities that technology has opened up. The region of the world that is the first one to achieve this will be among the economic winners of this century. As I mentioned above, I’ve read a lot of books on copyright history over the past decade or two, and this is by far the most precise & compact compilation of copyright monopoly history I’ve ever found in one book. If reading this doesn’t alter your view on copyright and the danger of unlimited copyright monopolies, then we might as well give up now & go ahead and let them fully censor the Internet. If we (the people) don’t stand up for our fundamental rights, we’re going to lose them. File sharing has been rampant for over a decade now, and yet we have more music; more movies; and even more books being created than ever before. Revenues have increased year by year for both the cultural sector as a whole, and for each individual segment (i.e., film, music, books, computer games). The content industry’s bogus claim that file sharing is killing the creative industry is just that — BOGUS! There is not (and never has been) any credible data to support ANY of their claims. The only “losers” have been the gatekeepers, or middlemen (RIAA, MPAA), whose obsolete business models do not work anymore. They’ve now aimed their sights at destroying what happens to be the latest disruptive technology – the Internet – with the firm assistance of the US Government, attempting to eliminate our right to private communication, due process, and proportionality in punishments. Our policy makers & politicians have a responsibility for making sure that we have a society where culture can flourish and where creative people have a chance to make money from what they do — NOT protect old business models or invent new ones. It is not easy to make a living as an artist, and never has been, but the Internet has opened up new opportunities for creative people who want to find an audience — WITHOUT selling their soul to the big companies who used to control all the distribution channels. In case you’re not aware, on the 1st of July Internet Service Providers (ISPs) such as AT&T, Cablevision, Comcast, Time Warner Cable and Verizon — to name a few — will begin monitoring our Internet traffic to crack down on alleged piracy. This shouldn’t come as a complete surprise, as this “deal” between ISPs and the RIAA, MPAA and other copyright holders, was made last June (with pressure from our pro-RIAA White House, no less). The countrys largest Internet service providers havent given up on the idea of becoming copyright cops. Supporters say this could become the most effective antipiracy program ever. Since ISPs are the Internets gatekeepers, the theory is that network providers are in the best position to fight illegal file sharing. That’s OK… we can just switch to another ISP, right? Oh yeah… I forgot… ISPs have a collective monopoly on high-speed services in most regions of the USA. In other words — many of us have no alternative ISP to sign up with. But should you have an another ISP to switch to, don’t hold your breath. The goal of the content industry (again with White House backing) is to get all ISPs to sign the Memorandum of Understanding (MOU) with the copyright holders and begin cracking down on “suspected” copyright infringement by their paying customers. Rick Falkvinge has a different view of the copyright industry. While most people think that they just don’t understand the Internet or how technology has changed, Rick believes they understand exactly what the Internet is and what it means to their totally obsolete business model. The copyright industry believes that the Internet must be destroyed in order for them to remain even slightly relevant. By making the ISP’s copyright cops, they’re well on their way to destroying the Internet (at least as we know it). The program, commonly referred to as graduated response, requires that ISPs send out one or two educational notices to those customers who are accused of downloading copyrighted content illegally. If the customer doesnt stop, the ISP is then asked to send out confirmation notices asking that they confirm they have received notice. At that time, the accused customers will also be informed of the risks they incur if they dont stop pirating material. If the customer is flagged for pirating again, the ISP can then ratchet up the pressure. Participating ISPs can choose from a list of penalties, or what the RIAA calls mitigation measures, which include throttling down the customers connection speed and suspending Web access until the subscriber agrees to stop pirating. I don’t think this is the type of Internet we want, nor is it something we should accept lying down. The Internet community rose up in January to kill the Stop Online Piracy & Protect IP Acts — bills that previously seemed all but sure to pass. I can only hope that the Internet community will respond with just as much vengeance to prevent our network intermediaries (ISPs) from taking on the role of “copyright cops” — something that they are neither competent at or entitled to perform. Remember — OUR Internet is being stifled by a bloated, outdated and completely obsolete entertainment industry (primarily the RIAA & MPAA). Piracy is nothing but UNMET CONSUMER DEMAND. But “serving their customers” has never been NOR will it ever be on the entertainment industry’s agenda. And why not??? — because they have an obsolete business model to prop up! Warner Bros. recently announced a new initiative called “disc-to-digital” to allow consumers to use a variety of methods (e.g., take your discs into stores) to turn their DVDs into digital copies stored in a virtual cloud that they can watch on (studio-approved) Internet-connected devices — for a fee. And, of course, the files will be digitally protected with UltraViolet, the movie studio’s latest (& useless) digital rights authentication and cloud-based licensing system. Take a look at Techdirt & ExtraTorrent reviews of Ultraviolet if you haven’t heard of it. Really??? Are the movie studios, MPAA, etc., really that stupid? Or do they just think that the consumers are that stupid? Frankly, I don’t know which is worse. Either way, the “disc-to-digital” initiative described above is just plain dumb AND stupid! As for other related news… every three years the US Copyright Office considers requests for exemptions to the Digital Millennium Copyright Act (DMCA) that prevents breaking or circumventing digital locks (making copying DVDs illegal). Right now Public Knowledge is fighting for an exemption to allow anyone who lawfully owns a motion picture (including TV shows) on DVD to break the digital lock on that DVD in order to copy the motion picture to another device for noncommercial purposes (i.e., smartphone, iPad, laptop, etc.). While I wholeheartedly support this effort, I’m not going to hold by breath because the entire movie industry (& friends) are fighting this exemption tooth & nail. Many people started digitizing their (lawfully purchased) DVD collection almost a decade ago, when DVD Shrink first hit the street in 2003. Many also accelerated their digitization when the movie industry started taking control of their DVD players, by not allowing users to skip over previews and the increasingly annoying & longer FBI Warnings (in multiple languages, no less), among other irritating features. Unfortunately, by 2008 the studios had added additional copyright protection features to DVDs that thwarted the use of DVD Shrink, which hadn’t been updated since 2006, and many people switched to other software, such as DVDFab (which also allows conversion to many popular video file formats). There now must be over a dozen different vendors of updated DVD ripping software. Here’s a review from one site of the top ten DVD rippers for 2012. So… for those who desire to build a digital library of their (lawfully purchased) DVD collection, the tools are all there (and have been for some time). As for Warner Bros. “disc-to-digital” initiative? Good luck with that. I saw both of these videos last August and meant to post them. Both were produced by C.G.P. Grey (Grey’s Blog) and they are OUTSTANDING! Even if you’re not a coffee drinker, I think you’ll enjoy the Coffee video (coffee drinkers will love it!). Caffeine is one of the most studied drugs ever and there are essentially no health problems for normal people ingesting normal amounts of the stuff. In less than 4 minutes you’ll know more about coffee & caffeine than you thought possible. The Copyright video analyzes the copyright laws in the U.S. from the 1700’s up until the modern day (and in less than 6 minutes!). Viewers will quickly realize from this short video the idiocy of such long copyright terms. Yes… last week millions from the Internet opened the door, powerfully if briefly, on the powers that dominate policymaking in Washington, and effectively stopped Hollywoods latest outrage to address piracya k a the Stop Online Piracy Act (SOPA), and the Protect IP Act (PIPA). This isn’t the end, nor is it even “the beginning of the end.” The copyright war has been going on for over 300 years and it’s not about to end now. I strongly recommend you watch the following three videos, all by ‘movers & shakers’ in internet technology, for insights into what this “battle” is really about. So what PIPA and SOPA risk doing is taking a centuries-old legal concept, innocent until proven guilty, and reversing it — guilty until proven innocent. You can’t share until you show us that you’re not sharing something we don’t like. Suddenly, the burden of proof for legal versus illegal falls affirmatively on us and on the services that might be offering us any new capabilities. And if it costs even a dime to police a user, that will crush a service with a hundred million users. Transcript for video is here (click on “Interactive Transcript”); MP3 audio version is here. The SECOND video (55 minutes) is a speech given by Cory Doctorow at the 28th Chaos Communication Congress (28C3) titled “The Coming War on General Computation.” Mike Masnick @ Techdirt has a great writeup on the talk here with video embedded. Cory Doctorow’s talk is about something much bigger than copyright. It’s that the copyright fight is merely the canary in the coalmine to this kind of attack on general purpose computing in all sorts of other arenas as well. And those fights may be much bigger and more difficult than the current copyright fight. Don’t let the length (55 min) scare you. Cory is a very entertaining speaker. Transcripts of this talk can be found here. MP3 audio is here. The THIRD & last video (20 minutes) is an interview with Lawrence Lessig by Charlie Rose. Larry Lessig has been intimately involved with intellectual property (IP) & copyright issues for over a decade. He is the author of many books involving IP, including The Future of Ideas and Free Culture. His latest book, Republic, Lost: How Money Corrupts Congress–and a Plan to Stop It, is topic of the interview. Unlike his previous books, the book outlines what Lessig considers to be the systemic corrupting influence of special-interest money on American politics (e.g., SOPA and PROTECT-IP), and only mentions copyright and other free culture topics briefly, as examples. MP3 audio file is here. RE: SOPA & PIPA — It’s not over, by a long shot! Just in case you’re feelin’ pretty cocky right now with respect to the protests against these ridiculous copyright bills, along with members of both Congress & Senate pulling their support — DON’T!!! This isn’t going to go away. In fact, it’s probably just the tip of the iceberg before even more restrictive legislation is proposed over the coming years. Remember — the content industry has been fighting for this kind of control for over 300 years, starting with the printers guild in England in the 1700’s. And over this 300+ year period, absolutely nothing has changed. Thank goodness both Britain’s parliamentarians (Thomas Babington Macaulay) & our own founding fathers (Thomas Jefferson) realized copyright for what it is — a monopoly, and as always the case — monopolies get abused. Please realize that the people/corporations pushing the hardest for draconian restrictions on the Internet with respect to copyright infringement ARE THE MIDDLEMEN!!! They have religiously fought ALL new technologies & innovations, only adapting (and profiting from them) when forced to do so, i.e., radio, TV, cassette tapes, VCRs, MP3 Players, and TIVO to name just the most recent “technologies” that were “forced” upon the content industry. Had copyright law been as stringent as it is today, we likely would have none of these or even the Internet as we know it! When the US passed it’s first copyright law in 1790, it was for a duration of 14 years, renewable only once for an additional 14 yr term (28 years total). Content not only had to be registered for copyright protection, but the content owner also had to register for the one-time 14 yr extension. During these years, over 85% of registered copyrights WERE NOT renewed for the extension! Where are we now? No registration is required, and the copyright term is over 95 yrs in length! And it includes not only books, music, movies & much more, but SOFTWARE, too! Copyright law has been continuously expanded, in both scope and length, over the past hundred years. That’s right — it’s just another monopoly, with all the stink & corruption that goes hand-in-hand with monopolies. And guess what? This still isn’t enough for the content industry. In fact, it will NEVER be enough. Remember — piracy is the result of UNMET CONSUMER DEMAND. As long as the content industry refuses to provide consumers with what they desire, then consumers will find a way to fill that void. I still stand by a previous post I made over a year ago — that copyright law has been distorted beyond any perceivable recognition. It is broken & beyond repair. In it’s current form, it has no place in our digital world. I was wrong… Xmas has come WAY early for the Content Industry! Geez… and I was just in the middle of reading William F. Patry’s new book “How to Fix Copyright“. This book is even better than his previous one published in 2009 titled “Moral Panics and the Copyright Wars.” I’m wondering if even he saw this coming??? Rick Falkvinge has posted yet another great article at TorrentFreak titled “The Copyright Industry — A Century of Deceit.“ In it he takes a look at what the copyright industry has tried to ban and outlaw, or at least receive taxpayer money in compensation for, over the past 106 years. It starts with the player piano (1905) and ends with the attempted addition of a “broadcast flag” to HDTV & DVRs in 2003. The Stop Online Piracy Act (SOPA) & Protect IP Act (PIPA) are merely their latest (and most dangerous, I might add) attempt to control and/or stifle technology in order to save their obsolete & failing business models. Here’s a list of other excellent articles by Rick Falkvinge, most involving copyright. I stumbled upon these five articles over the past week and all are well worth spending some time reading. #2 is by the author of a new book titled“Copyfraud and Other Abuses of Intellectual Property Law“, Jason Mazzone. He discusses how copyright owners, unhappy with the scope of protections that Congress has given them, routinely grab more rights than they are entitled to under the law. They do this at the expense of consumers and of the public at large. #3 is another one by Mike Masnick (Techdirt) that discusses the previous article and points out how the entertainment industry is killing copyright. #4 is by Rick Falkvinge and provides an entirely different point of view. He suggests that we should thank the copyright industry for pointing out all the single points of failure that our civil liberties depend upon, as it will allow the public to rebuild those parts of our Internet infrastructure that will be broken with these bills. It’s an EXCELLENT read! And lastly, #5 is by Brian Proffitt of IT World, who warns that these bills, if passed, could destroy the availability & development of our free and open source software. They want to control the Internet. They want to control it utterly, completely, in every technologically possible detail (and it seems in various technically impossible ways as well).The freedom of communications with which the Internet has empowered ordinary people — especially one-to-many communications that historically have been limited to governments and media empires themselves — is viewed as an existential threat to order, control, and profits — that is, to historical centers of power. Outside of the “traditional” aspects of government control over their citizenries, another key element of the new attempts to control the Net are desperate longings by some parties to turn back the technological clock to a time when music, movies, plus other works could not so easily be duplicated and disseminated in both “authorized” and “unauthorized” fashions. The effective fall of copyright in this context was preordained by human nature (we are physical animals, and the concept of non-physical “property” plays against our natures) and there’s been a relentless “march of bits” — with text, music, and movies entering the fray in turn as ever more data could be economically stored and transferred. In their efforts to control people and protect profits, governments and associated industries (often in league with powerful Internet Service Providers — ISPs — who in some respects are admittedly caught in the middle), seem willing to impose draconian, ultimately fascist censorship, identification, and other controls on the Internet and its users, even extending into the basic hardware in our homes and offices. I encourage you to read the entire post, as it’ll not only give you a taste of what it was like in the pre-Internet years, but also how it evolved to where we are today. What worries me now is the government involvement and how they seem to be even MORE joined at the hip with the content industry. Or, just maybe, might they have an agenda of their own??? The attacks on fundamental freedoms to communicate that are represented by various government repression of the Internet around the world, and in the U.S. by hypocritical legislation like PROTECT IP and SOPA (E-PARASITE), are fundamentally fascist in nature, despite between wrapped in their various flags of national security, anti-piracy profit protection, motherhood, and apple pie. I’d like to think a bill like SOPA wouldn’t have a chance in hell of passing, but worse things have happened before. Don’t know if any of you saw the 3-part PBS series on Prohibition a month or so ago, but my reaction to it was “How could this have happened?? ?” Prohibition has to be one of the greatest examples of “unintended” consequences ever. Don’t think our administration isn’t capable of making an even worse mistake with the Internet! The Internet is one of the most important tools ever created by mankind. It certainly ranks with the printing press, and arguably in terms of our common futures on this tiny planet perhaps even with fire. The question is, are we ready and willing to fight for the Net as it should be in the name of civil rights and open communications? Or will we sit back compliantly, happily gobble down the occasional treats tossed in our direction, and watch as the Internet is perverted into a monstrous distortion to control speech and people alike, rather than enabling the spread of freedom. Words of wisdom. I’ve become concerned mainly because this administration is so focused on this bill, in spite of everything else that is going on in the world, our economy, our huge debt, etc. In addition, they have consistently refused to consider the concerns of the tech industry, other key organizations, and basically anyone who isn’t a card-carrying member of the content industry. Please contact your representatives, either by letter or via email (Demand Progress or Fight for the Future make it easy to send a personalized email). I saw this video from Lauren Weinstein’s Blog this past June and meant to post a link to it. It concerns PROTECT-IP and the numerous closed-door meetings that have been held by this administration that include only the content industry (MPAA, RIAA, etc.). Even now, the House Judiciary Committee refuses to hear wider tech industry concerns about SOPA, the House’s much worse incarnation of the Senate’s PROTECT-IP bill. Enjoy the video — I’m certain you will! A Very Special Christmas for the Content Industry!!! ARGHHHHH!!! Yes indeedy… with the recent introduction of the House version of the Senate’s “PROTECT-IP” bill (Stop Online Privacy Act, or SOPA), they’ve managed to incorporate everything the MPAA & RIAA have ever dreamed of getting! Of course, with all the money the content industry has donated to our representatives over the past many years, is it really that surprising? If you read my previous posts concerning PROTECT-IP, they referred to the bill introduced by our illustrious Senate several months ago. However bad that bill was, this new one — introduced just a couple weeks ago in the House of Representatives — is much worse. The House version of PROTECT-IP creates vague, sweeping new standards for secondary liability, drafted to ensure maximum litigation. It treats all U.S. consumers as guilty until proven innocent. If passed, the bill would give media companies unprecedented new powers to shape the structure and content of the Internet. The folks behind Fight For the Future have teamed up with Kirby Ferguson & put together a 4 minute video about the problems with PROTECT IP here. If you only read one article about PROTECT-IP, then this is the one at C/Net. For a list of articles by Mike Masnick @ Techdirt that provide excellent coverage of PROTECT-IP, go here. Next Wednesday, Nov 16th, is being declared “American Censorship Day” by numerous organizations to recognize Congressional hearings on the first American Internet censorship system. Better watch out — given the current state of affairs in Congress, this bill can pass, and if it does the Internet and free speech will never be the same. Just in case PROTECT IP passes, along with its planned Domain Name Services (DNS) filtering (a.k.a. censorship) of “alleged” infringing websites, prepare yourself by reviewing these guides published by ZeroPaid. Over the past month, ZeroPaid has published eight guides for circumventing/defeating US DNS censorship. Links to each of the guides is posted below. If you’re still not privy as to what the “PROTECT IP” act is about and how it will break the Internet as we know it today, see my previous posts on June 1, 2011 and June 6, 2011. Both contain links to numerous reference information, articles and technical white papers. If you haven’t contacted your lawmakers to urge killing this nasty piece of legislation, visit “Demand Progress” where you can send a personalized email to your representatives. From Thom Holwerda @ OS News, “US, France, UK Declare War on Freedom of the Web“. This one is scary, but I believe Thom has literally hit the nail on the head with this article. Rick Falkvinge posted “Whos The Police And Whos The Crook, Anyway?” over on TorrentFreak. Also on TorrentFreak, “File-Sharers An Easy Prey To Anti-Piracy Lawyers“. If you don’t know much about DNS, I strongly recommend you read this technical whitepaper. As a minimum, at least take a look at the Ars Technica article that provides an overview & excerpts from the white paper. If my previous post didn’t pique your interest about this asinine piece of legislation (a.k.a. crap), then the above articles & white paper may do the trick. As a minimum, if you read the white paper then you’ll at least gain some useful knowledge about how DNS works; DNS filtering; and even how easy it is to evade DNS filtering should the PROTECT IP Act be enacted. Since it appears as though the United States is about to join the ranks of other great “censorship” countries such as China, Iran, Burma & Republic of Azerbaijan (just to name a few), I find it fitting that the U.S. State Department funded a recent report which reviews censorship circumvention tools. The report is titled “Leaping Over the Firewall: A Review of Censorship Circumvention Tools“ and was directed at internet users in the above four countries, whose implementation of internet censorship poses a large & growing challenge to online freedom of expression. Uh… gee, uh… it’s kinda looking like maybe “us” citizens of the US of A may need our own suite of censorship circumvention tools in the not so distant future, eh? Don’t forget… the above articles only discuss the DNS Filtering portion of the PROTECT IP Act. This legislation also envisions implementing link criminalization and government mandated censorship of search engine results (e.g. targeting Google and others). Lauren Weinstein posted an excellent article yesterday titled “Why Search Matters – and Fighting Internet Censorship with Technology.” It’s not only an excellent read, but scary! 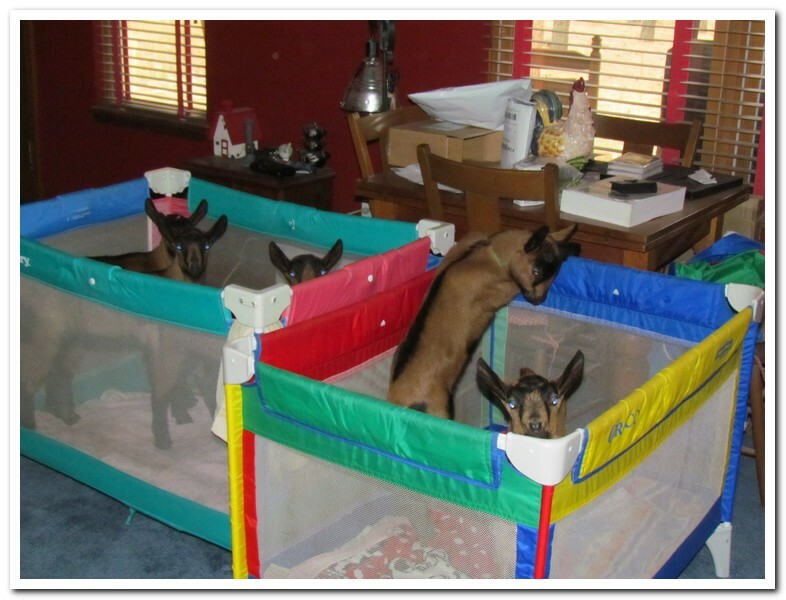 I’ve been having trouble lately finding time to write, what with work; raising seven baby dairy goats (Oberhasli) in the house; an ailing 92 yr mother; and my son graduating from college. Anywho’s… in case you didn’t notice, the Senate Judiciary Committee just passed the Protect IP Act (known as PIPA) last week. Luckily, Senator Ron Wyden (Oregon) has placed a hold on the legislation just as he did on it’s predecessor, COICA (Combating Online Infringement and Counterfeits Act). Protect IP is the wayward son of COICA and will be even more damaging to the Internet as we know it. Since I still don’t have enuf time to write my own opinion of this ridiculous piece of legislation, I’m going to point you to some excellent articles/essays on just how dangerous the Protect IP Act is. If you have not yet emailed, called or written your representatives to oppose this nasty piece of legislation, then now is the time!